Excavation works for the station box are largely completed down to the paid linkway level, with the dismantling of the temporary earth retaining structural system commencing concurrently. 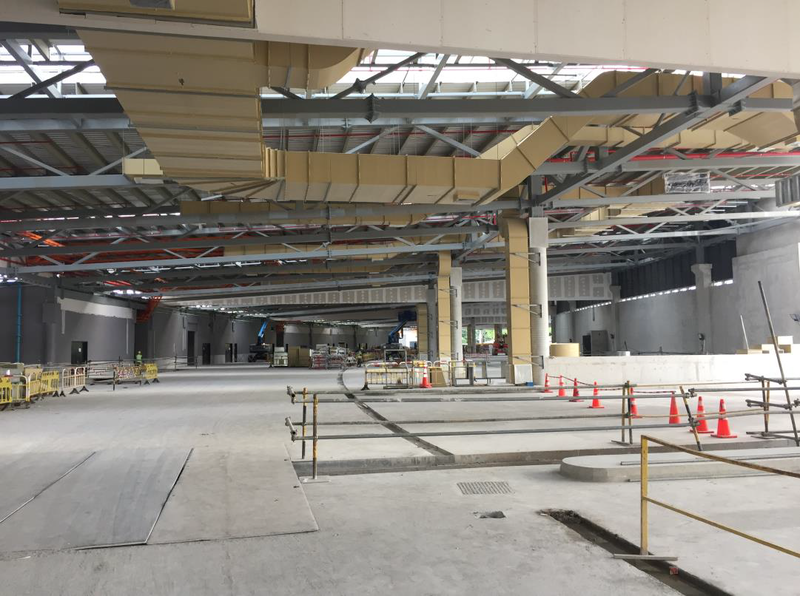 Architectural works for certain portions of the concourse level have started ahead of the overall station BSC due to the delay in the project timeline. 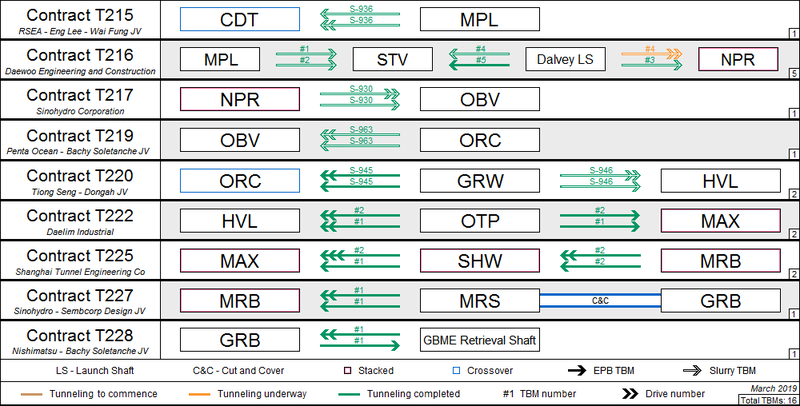 The opening of TEL3 is currently being dragged by the progress of the station, which at present estimate is likely to be delayed by up to 6 months. 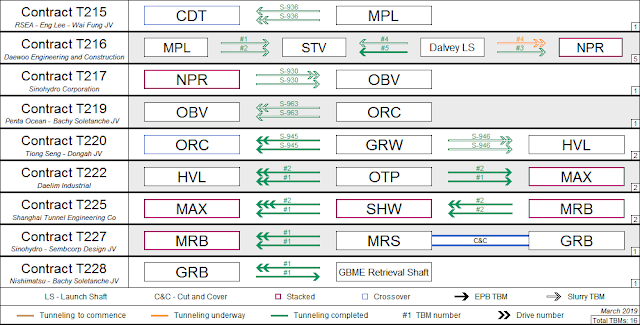 TEL3 Tunnel Progress, March 2019. The final TBM 4 is projected to breakthrough at Napier by the middle of Q2.